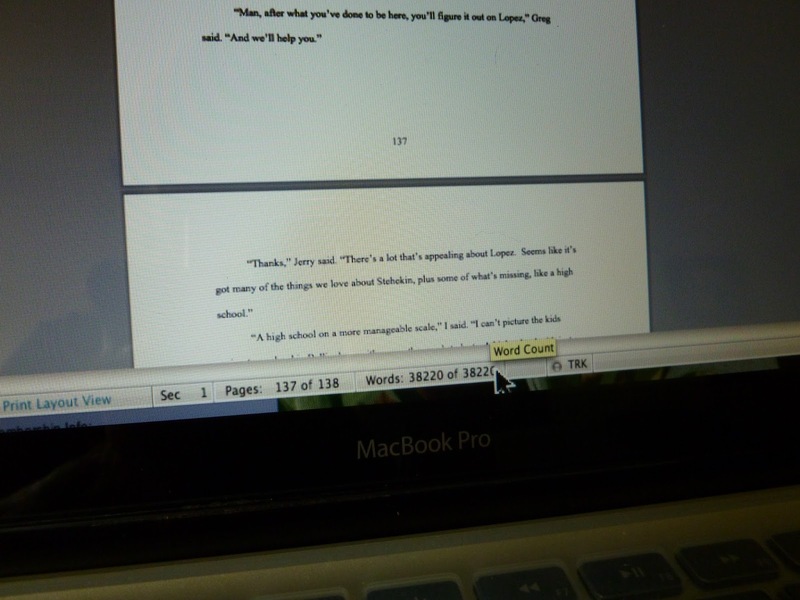 Yesterday, I took my thumb drive to Paper, Scissors on the Rock, the local office supply shop, and watched the printer churn out the sheets—a complete draft of Hiking Naked­—A Quaker Woman’s Search for Balance; Prologue through Chapter 20; 241 pages; 68,645 words. If I’d kept track of all the words I wrote, cut, then re-wrote, well, the count would be about double. 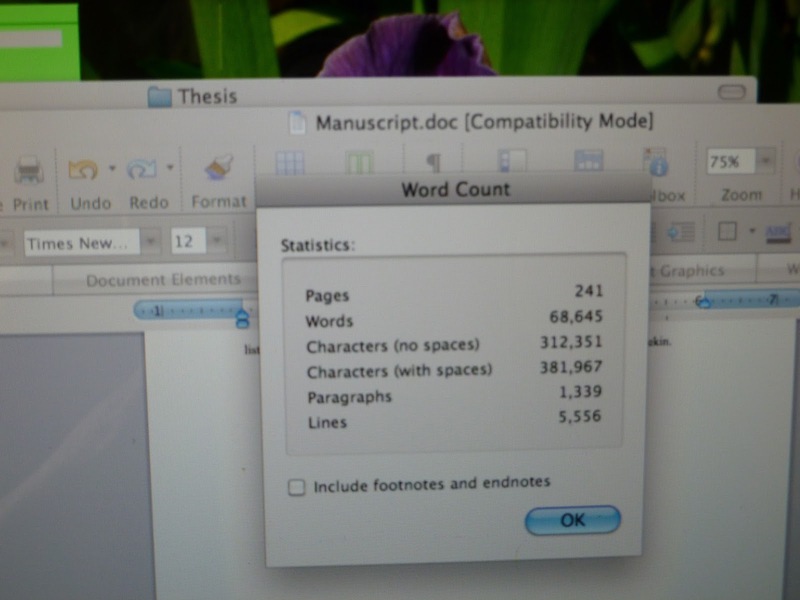 And then there’s the revising and editing yet to do—thousands more words. But for now, I’m pausing to relish this step: 68,645 down, ???? to go. Beginning in January 2012, I instituted posting an “Afterthought” on the last day of each month, fashioned after a practice in some Quaker meetings. After meeting for worship ends, some groups continue in silence for a few more minutes during which members are invited to share thoughts or reflect on the morning’s worship. I’ve adopted the form here for brief reflections on headlines, quotes, comments overheard, maybe even bumper stickers. very very cool — how much fun is it to see the bulk of your words physically in your hands! Just put all 241 printed pages all together in a binder. Looks almost like, well, a book! Gretchen and Bob, thanks for the cheers. I know both of you writers understand the thrill of seeing your words on the page.